Color, 1999, 97 mins. 9 secs. 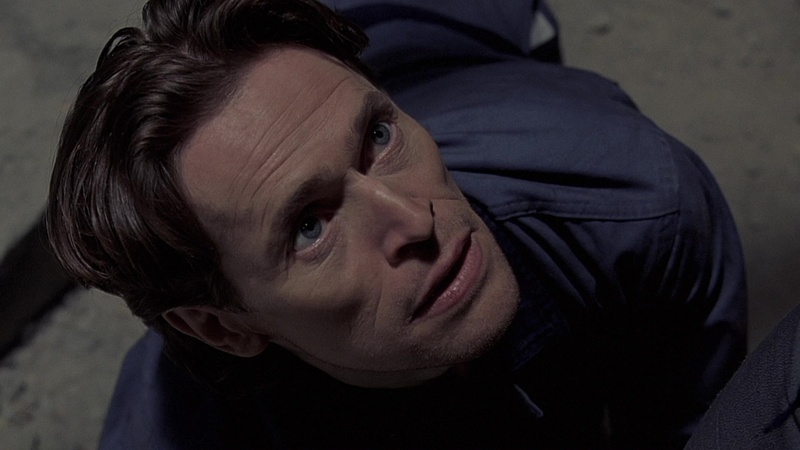 A swan song of sorts to the unsettling body horror that made him famous, David Cronenberg's eXistenZ tackles the potentially dated subjects of gaming and virtual reality in his usual off-kilter, probing style. Featuring one of his strongest casts and his usual behind-the-scenes conspirators at the top of their form, the film makes for both a relatively safe introduction for newcomers and a surreal diversion for fans of his similar Videodrome. During a sneak testing session for her newest game, eXistenZ, "game pod goddess" Allegra Geller (Leigh) falls victim to an assassination attempt that goes awry. Protected by her company's jittery public relations agent, Ted Pikul (Law), she flees to the countryside where the two enter her game to uncover the dark secrets behind the assassination plot. As the film shifts in and out of reality and the virtual scenario, the two become increasingly confused about their own surroundings and identities. Anchored by the two solid lead performances, Cronenberg's quirky chamber piece deliberately toys with viewers' expectations right from the beginning. 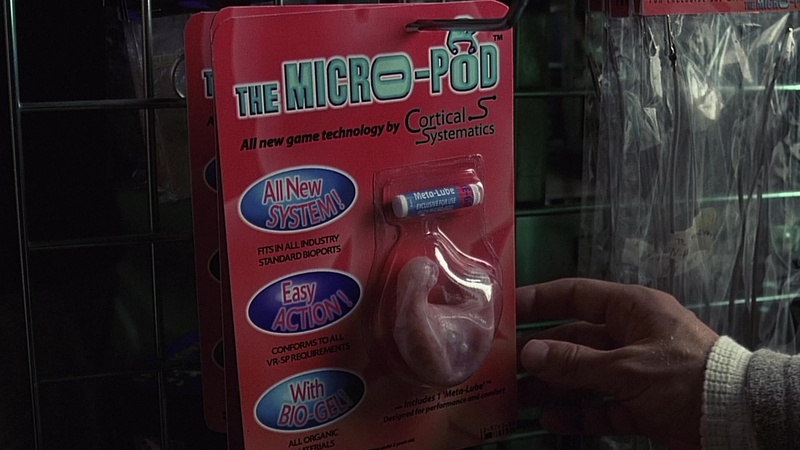 The expected hi-tech hardware is replaced by flesh game pods and umbilical connections into players' spines, while blatantly phony and arch performances are exposed to be precisely that. 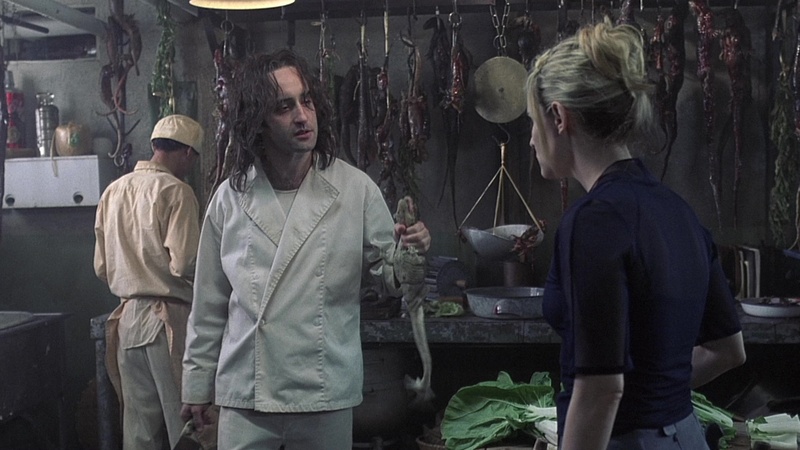 The twisty narrative constantly threatens to veer into incoherence but always stops short to reveal one more jolting surprise, and the director's often overlooked sense of humor is well in evidence here. Leigh provides one of her most fetching performances, while Law skillfully adapts to the transformation needs of his role to prove why he was so in demand at the time. 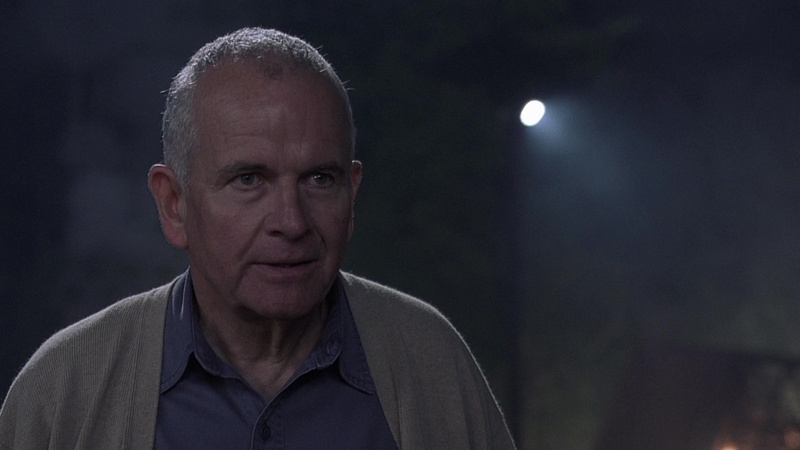 The excellent Sarah Polley and Christopher Eccleston are potent but have minimal screen time in small bookend parts, but Ian Holm, Willem Dafoe, and the rest of the crew have juicier parts to tackle. As usual, Howard Shore's moody, experimental score nails each scene perfectly, while Peter Suschitzky manages to equal the evocative cinematic imagery he conjured up in Crash. First released in a basic U.S. DVD edition from Buena Vista with only the Dimension Films trailer as a bonus, eXistenZ was given a much more elaborate treatment in its Canadian and U.K. variations in 2001 from Alliance and Momentum, respectively. The anamorphically enhanced transfers of all the discs look very similar, with the non-U.S. versions boasting a slightly less digitally filtered look. 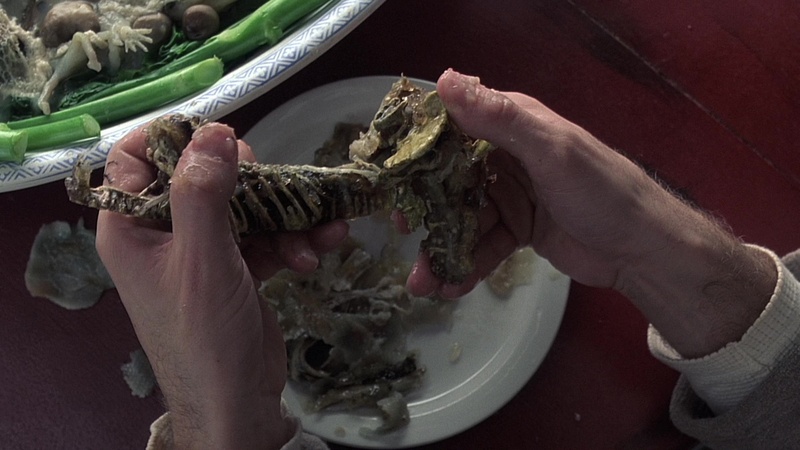 The special editions feature no less than three running commentaries; Cronenberg provides the first and most entertaining, which points out a number of small touches which would escape the casual viewer. Suschitzky and special effects supervisor Jim Isaac discuss their own involvement on separate tracks and essentially provide every scrap of technical information imaginable about the film, augmented with a few nifty references to Cronenberg's past work. "The Invisible Art of Carol Spier," a 53m48s documentary dedicated to the film's production designer (and a Cronenberg regular), features behind-the-scenes footage and interviews covering her diverse career, with a special emphasis on eXistenZ. The Canadian trailer strongly resembles the one designed by Miramax, with a techno-music finale, but the alternate French-language Canadian trailer also included on the Alliance disc features completely different editing and music cues lifted from Scream. By the time the Blu-ray format rolled around, fans of the film were frustrated by woefully substandard editions that first poured out with the worst offender coming via Echo Bridge's interlaced 2012 edition (which went out of print quickly and started commanding stupid amounts of money online). A 2017 Blu-ray/DVD combo mediabook from German label Turbine turned out to be a nice surprise for those expecting a rehash of the older presentation; it's a significant improvement with a visible uptick in detail, far superior compression, and less digital filtering and sharpening. Barring a full-on 4K overhaul someday, this may be the best it's going to look, and it actually serves as a pretty admirable reminder of how the film looked in theaters. All three of the Canadian commentaries have been ported over along with the doc, plus a raw video interview about the special effects with Isaac showing off some of the rubbery creations (3m47s), an extended making-of EPK featurette (10m37s) the English and German trailers, and a batch of EPK interview segments with Leigh (1m17s), Law (14m39s), Dafoe (6m47s), Isaac (27m41s), and Cronenberg (4m). Audio options include English DTS-HD MA 5.1 and 2.0 and German DTS-HD MA 5.1 and 2.0 (with optional German and English subtitles), plus Turkish Dolby Digital 5.1. (And you really haven't lived until you've watched eXistenZ in Turkish with English subtitles.) The packaging also features a thick booklet, “In the Spell of the Virtual World” by Christoph N. Kellerbach. In 2018, 101 Films selected eXistenZ as one of the launch titles in its dual-format Black Label series, with the first 3,000 units featuring a slipcase and exclusive booklet (in this case two essays, "Enemy of Reality: David Cronenberg’s eXistenZ" by Alex Morris and "Of Fabrics and Flesh: An interview with Denise Cronenberg" by Phillip Escott). The transfer appears to be identical to the German one, which is good news indeed compared to some of the iffier versions out there; likewise, both LPCM 5.1 and 2.0 English options are included with optional English subtitles. Both sound great as usual, though the 2.0 feels more authentic to the way it sounded in theaters at the time. The original Cronenberg commentary is carried over here (hang on to your German or Canadian discs for the other two), while two new commentaries have been added; they can't be evaluated here since one of them features this reviewer and Edwin Samuelson, while the other has Kim Newman and Ryan Lambie. Hopefully they will both be found to be enjoyable and informative. On the video side you get everything from the prior releases together, namely the Spier, special effects, and general EPK featurettes, as well as the separate interviews with Leigh, Law, Dafoe, Isaac, and Cronenberg. A welcome new interview with Eccleston, "The Leader" (16m2s), covers his admiration for Cronenberg (The Dead Zone, The Fly, and Dead Ringers in particular), his period in North American films ("the food was better"), the justification for his "terrible American accent," and Cronenberg's fondness for chewing gum, among other topics. In short, it's a fine presentation that does justice to a film whose impact and relevance continues to improve with each passing year. Reviewed on May 9, 2018.